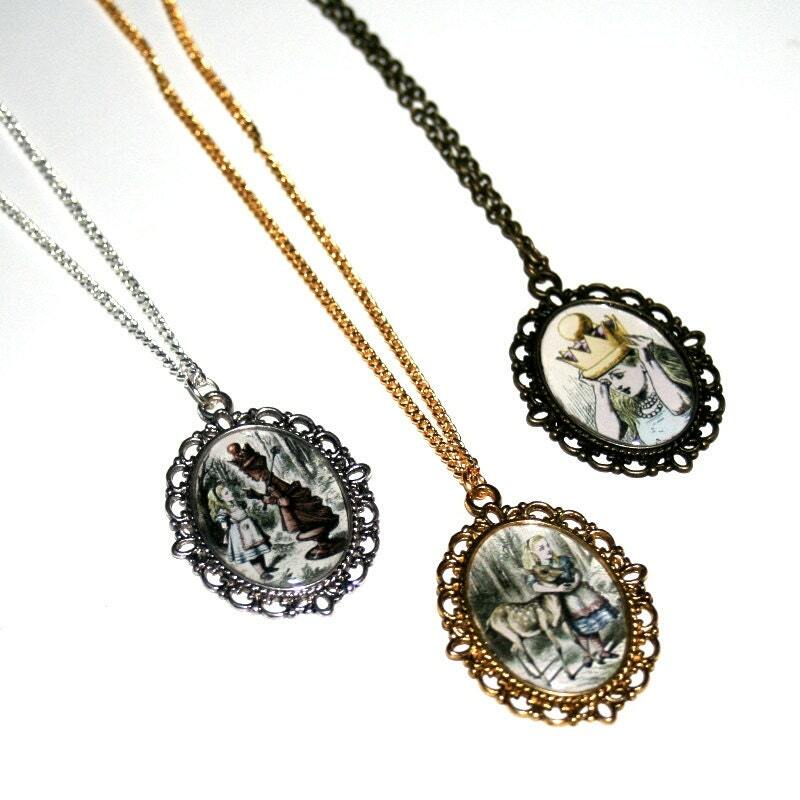 Primary color Silver Plated 18" Silver Plated 24" Gold Plated 18" Gold Plated 24" Antique Bronze 18" Antique Bronze 24"
• This listing is for one necklace. 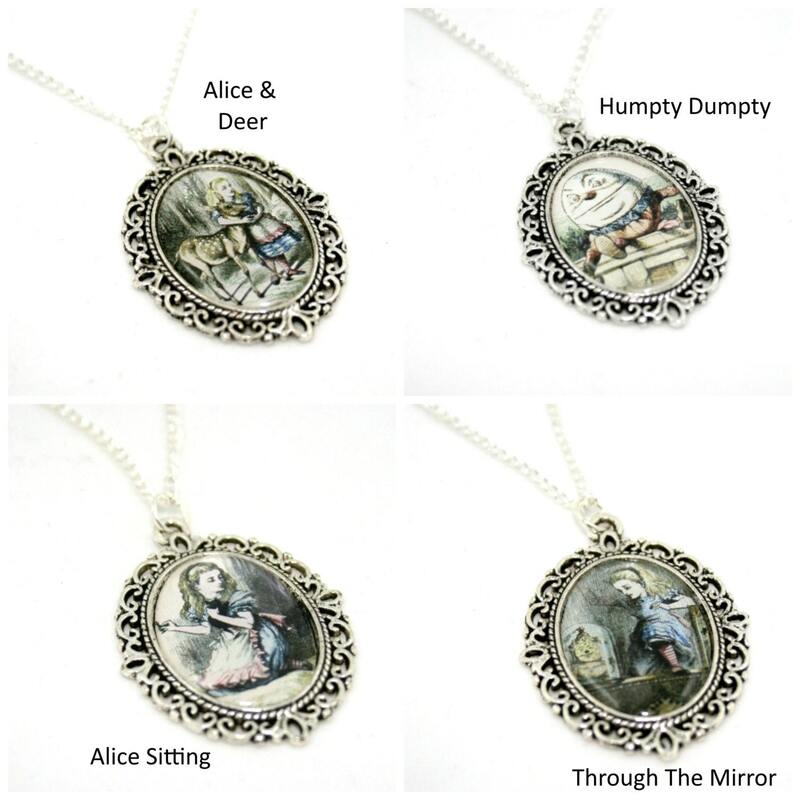 • All Alice in Wonderland cameo necklaces come with an 18” (45cm) chain. 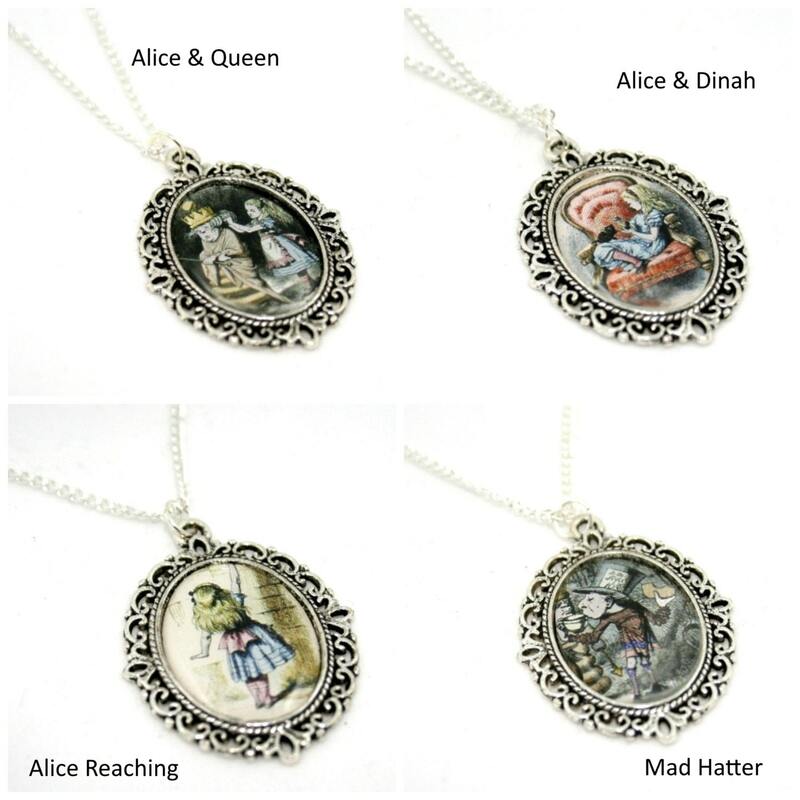 You have the choice of silver plated, gold plated or antique bronze. 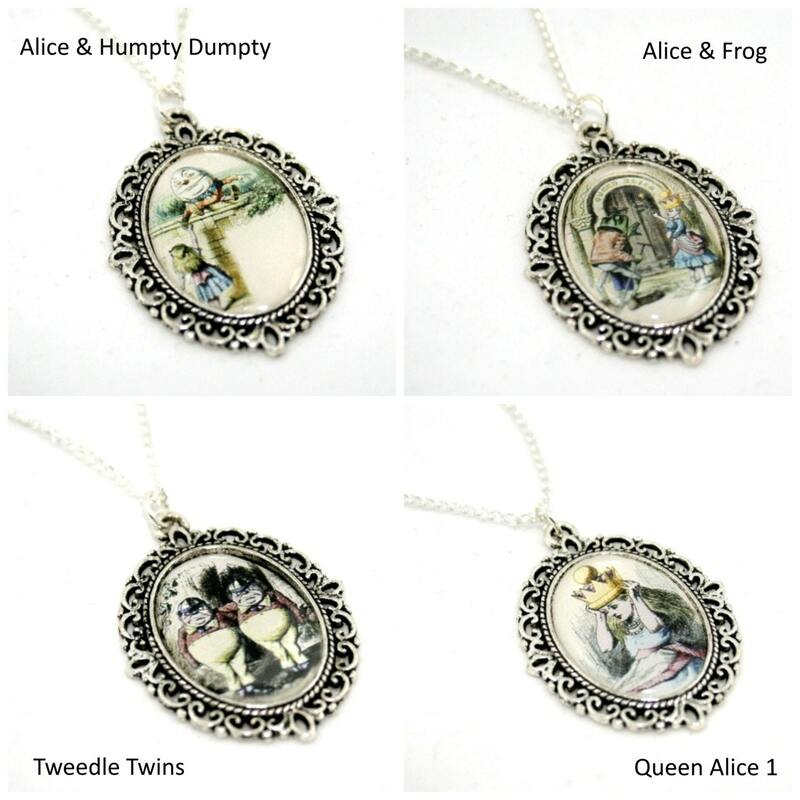 • All necklaces come packaged securely and will be mailed in a bubble envelope.All other Alice In Wonderland jewellery can be viewed here: http://www.etsy.com/shop/LaurasJewellery/search?search_query=alice+in+wonderland&search_submit=&search_type=user_shop_ttt_id_5320227&shopname=LaurasJewellery&langid_override=-1John Tenniel was the artist who illustrated Lewis Carroll’s Alice’s Adventures in Wonderland and Through the Looking-Glass. These images are now copyright free and therefore can be used by artisans. 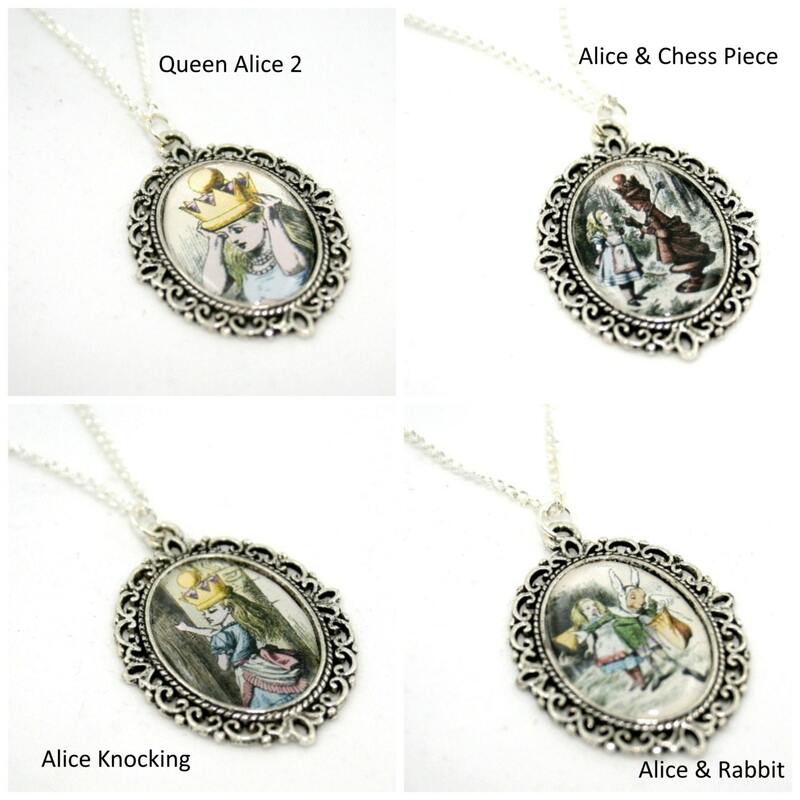 As such, I have used Tenniel’s illustration to make these striking pieces of jewellery.